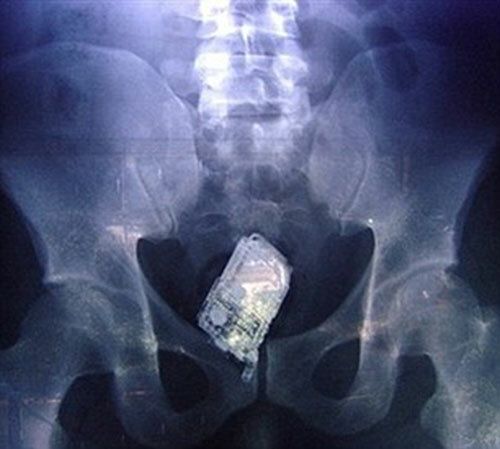 The story 11 Unexpected Things Found Inside The Human Body During X-Rays appeared first on StoryPick. When this South-Korean man visited the doctor complaining of a head-ache, he might not have expected this. 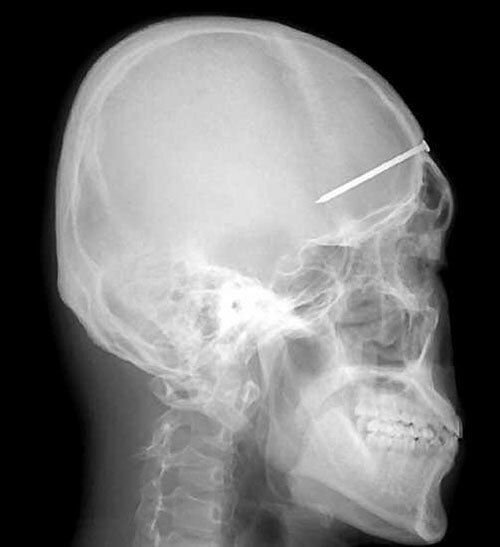 The doctors found a nail in his forehead in the X-ray. What is more amusing is that the guy himself didn’t know how the nail got there. 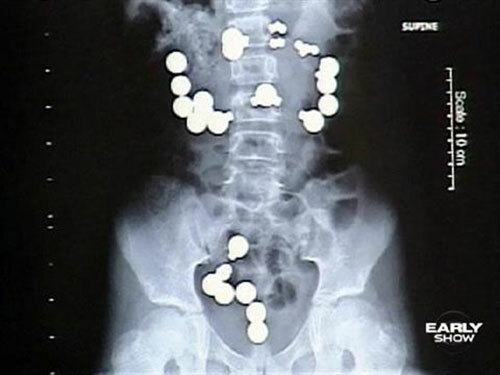 8 yr old Haley swallowed 30 magnets & steel balls because they looked like candy. However, the X-rays told a different story and doctors had to perform an emergency surgery to save her. Patrick Lawler visited the dentist complaining of a tooth-ache. 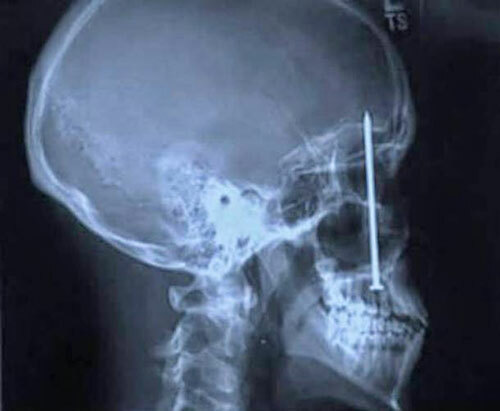 You can imagine the dentist’s surprise when he saw a nail passing through his head all the way upto his brain. Pat Skinner had visited the doctors for a surgery, however she returned months later complaining of severe abdominal pain. When the doctors took the X-ray, they were startled to find out a pair of scissors inside her abdomen which the Doctors had apparently forgotten inside her. 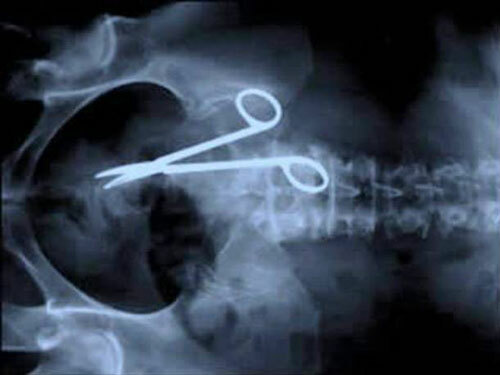 How can one swallow a pair of scissors, you might ask! Apparently this guy in China was using the pair of scissors as a toothpick, when his friend told him a joke and he started laughing. The guy ended up swallowing the scissors. Fortunately, it didn’t do him much damage and the scissors were removed safely. 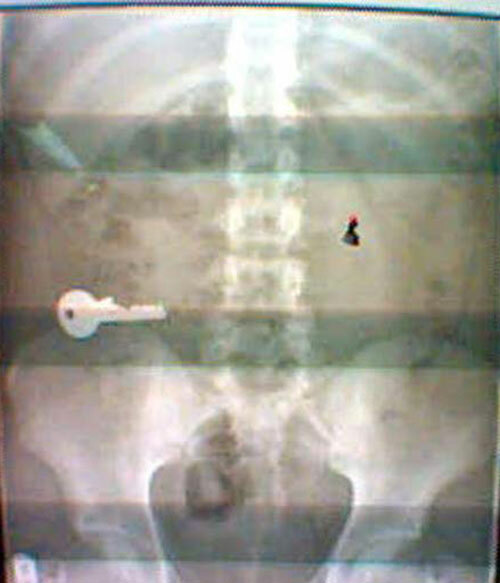 The prison inmates deliberately swallowed such objects to gain trips outside prison. Talk about being creative! This woman accidentally swallowed a flying cockroach while cleaning her house. But her troubles didn’t stop at that, she apparently tried to remove the cockroach lodged in her throat with a fork and somehow swallowed that too. Talk about having a rough day! This guy tried to propose his girlfriend by hiding the ring in her milkshake. 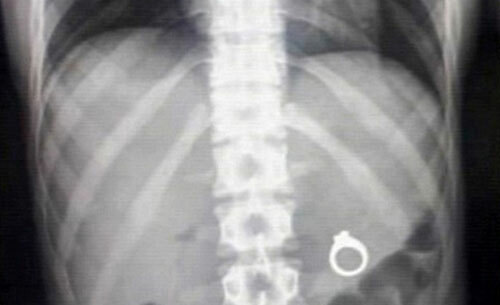 But as luck would have it, the girlfriend swallowed the ring like a jello shot. 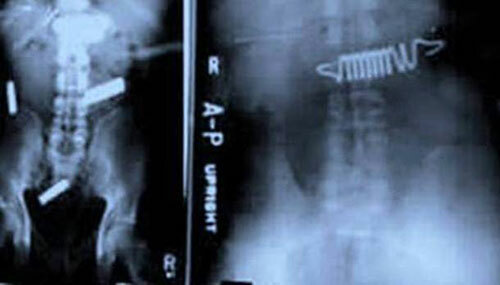 Also, she refused to believe that she swallowed a whole ring, until she saw the X-rays. Chris Foster got drunk at a house party and refused to go home. When his friends tried to take him home, he refused to do so and who swallowed his house key to prevent his friends from taking him home. 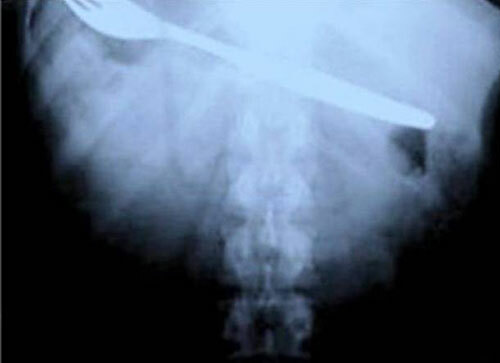 This woman apparently suffered from a medical condition which tempted her to eat pieces of cutlery. However, when things got out of hand and doctors performed a surgery, 78 pieces of silverware were removed from her stomach. Scared of having an X-Ray now? So am I!